The Byron Carlyle Theatre opened in 1968. In 2014 it opened as Miami's O Cinema. Going to the movies 50 years ago in Miami Beach meant a fancy night out, with gentleman dressed in coats and ladies in heels and gloves. 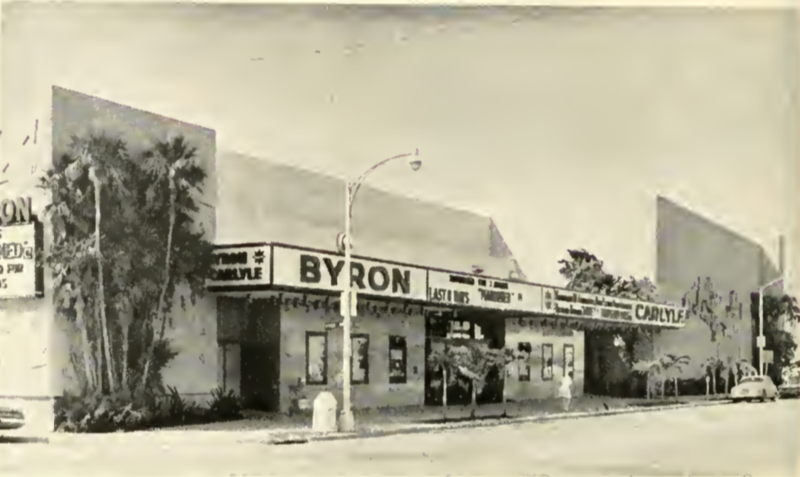 When the Byron Carlyle theatre opened in Miami Beach in 1968, it was a game changer for the area, bringing Hollywood films to multiple screens. The Byron Carlyle shut down in 2001 but re-opened in 2014 as Miami’s O Cinema. O Cinema now features independent films from around the world. In celebration of the theater’s 50th Anniversary, O Cinema is screening the iconic cartoon film about the Beatles, "Yellow Submarine." O Cinema's Kareem Tabsch joined Sundial. WLRN: Tell us about the Byron Carlyle. What was unique about it? Tabsch: When Byron Carlyle opened in 1968 it opened as the largest theater in South Florida at the time. There were two auditoriums, one which was about 600 seats and the other one about seven or eight hundred seats. So it really kind of was a game changer from day one. You had these two screens and double the options of movies to see. 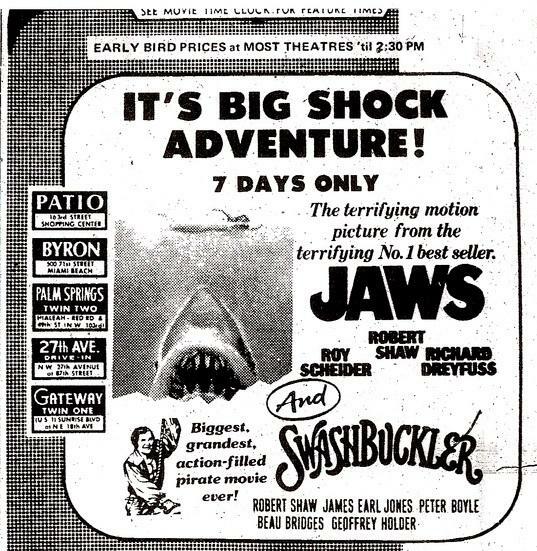 The original advertising from the Byron Carlyle of their screening of "Jaws." Give us an idea of the films that were screened there. What kind of big movies came through? I mean the most iconic films of the last 50 years played at the Byron Carlyle: "Jaws," a little film called "Rocky," "The Empire Strikes Back," "E.T.," "Die Hard" -- all of these are movies that came through the theater. It's interesting for those of us who grew up in Miami, the Byron Carlyle is where we went to go see movies and some of the most popular films of our generations came alive on those screens. 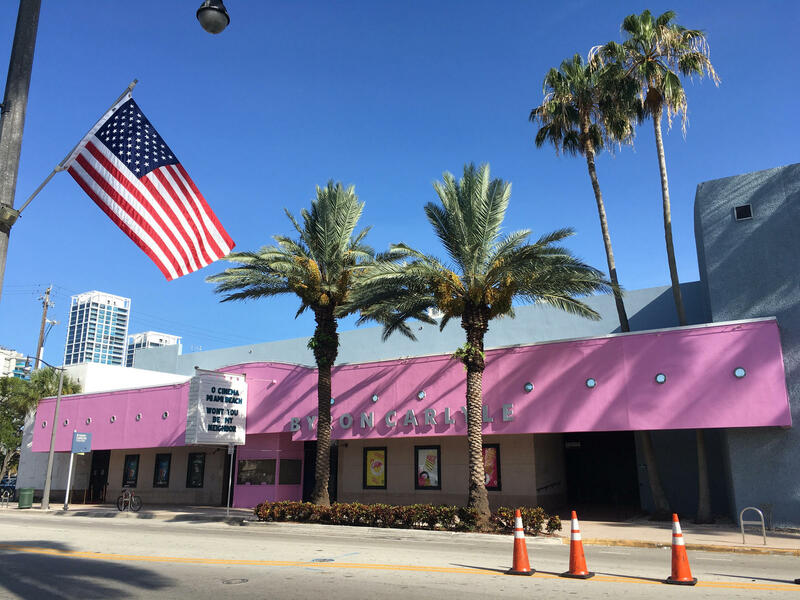 It's the 50th anniversary of the Byron Carlyle theater in Miami Beach which was restored by O Cinema in 2014. How are the Beatles part of the celebration this weekend? We're celebrating another 50th anniversary with the Beatles, “Yellow Submarine.” This version has been stunningly hand-restored. So it looks as beautiful as you'll ever have seen it. I haven't seen that movie since I was a kid. That's going back to the maybe early 80s, late 70s. Well chances are you did not see it in great shape because back in those days what you'd have were these old film prints that would tour across the country. So with time, film prints' colors fade, the sound goes out of whack. And what you're seeing now is a full restoration, 5.1 sound of that glorious Beatles music. And like I said: hand-restored imagery. It's colorful. It's vibrant. It's like psychedelic 60s pop coming alive in front of you. We're starting it on July 20th for a week at the Byron. Why did O Cinema want to revitalize that Byron Carlyle theater? What was behind that? We believe in the power of movies to change communities and change lives. That's the most accessible art form and what we've seen in other places, particularly in Wynwood, it brings a really rich and diverse audience to a space. We are dedicated to entertaining, educating and inspiring. Check out the video of the Beatles' arrival to Miami in 1964. Beatles in Miami February 13-20, 1964 from JoeJ Films on Vimeo.